Corrupt or damaged Powerpoint file can be easily fixed with the aid of Remo Repair PowerPoint tool. The entire repair process requires just 3 simple clicks - Select - > Repair - > Save. Buy Now!!! Microsoft PowerPoint is one of the renowned part of MS Office suite and allows users to form well known slide based presentation for several purposes. In current era, majority of sectors across worldwide (Institutions, educational, hospitals, business and commercial sectors) are widely using PowerPoint application because of its remarkable features that helps add numerous objects for presentation files such as charts, images, formatted text (Monochrome or colorful), multimedia items (audio or video), different shapes, etc. to make them even more attractive. Microsoft PowerPoint in older versions saves the presentation files with PPT file extension and from 2007 and its preceeding versions, the presentation files are saved with .pptx file extension. However, in spite of having excellent features; most of the computer users are still facing corruption issues in their day to day life like “I cannot open my PPT or PPTX file”, “File Structure Damage”, “PowerPoint cannot open the type of file represented by Filename PPT”. Generally these types of error messages occurs due to severe virus attack, file system corruption, application malfunctioning, etc. Well, in these situations user might be incapable to open PowerPoint file and the only question crawls in mind is, how to fix PowerPoint file? Are you one among those users who is experiencing PowerPoint file corruption issue? If yes, then how will you resolve the issue? Do you have any idea on software to fix PowerPoint file? Just in case, if your reply is “NO”, then don’t worry because in current era repairing broken or corrupted PowerPoint file is very easy with the aid of best third party file fixer software like Remo Repair PowerPoint. Sometimes, due to inappropriate registry policy settings you are incapable to access your PowerPoint files saved in system or laptop. This type of changes ultimately results in unexpected errors in Registry settings and finally leads to unreadable format. The other reasons behind PowerPoint file corruption are defragmentation error in HDD, error in downloading PPT or PPTX files, OS crash, HDD failure, sudden system shutdown, using unreliable third party tools, etc. 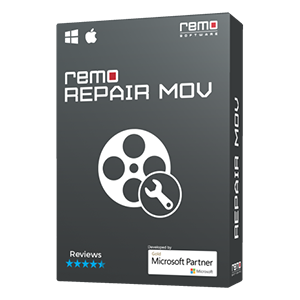 The best software according to expert’s recommendation to repair corrupted PowerPoint files is to opt Remo Repair PowerPoint software. This repair tool is completely safe since it doesn’t damage your original PowerPoint files further more when the repair process is underway. With the help of this application you can easily fix PPS files as well as PPTX files on Windows operating systemof any versions like Windows 10, Windows 8, Windows 8.1, Windows 7 etc. By making use of this tool you can easily restore PowerPoint files with actual presentation headers and footers. 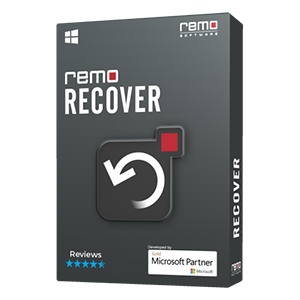 First you have to install and run the Remo Repair PowerPoint software on your PC. Next select the corrupt PPT / PPTX file using Browse option, and click on Repair button. Then the software scans and repair the specified PPT file. Once done preview the repaired file and finally save it on any drive or partition. You also have an option to test the efficiency of this software by using the demo version, which is absolutely free. If you are satisfied with the result of the demo version and wish to store the resultant file, then activate the software and complete the process of restoration. 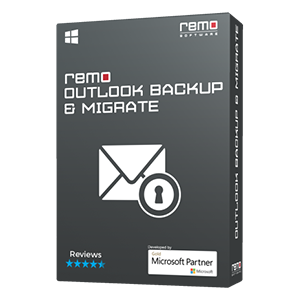 Note: By making use of Remo Repair application you can also repair broken Word documents utmost ease. For more information click on given link.